Owning a home with someone also comes with some strings attached, so it is very important to know exactly how it can change your life both as a primary residence and also as an investment property. Being stuck on a mortgage that you no longer want can have a great impact on your financial freedom. In high-cost cities like Vancouver and Toronto, it is very common to have both partners on the mortgage or rental agreement to make housing costs more affordable. Depending on how much someone is paying for rent and the necessary down payment available, home ownership may make more sense financially and in terms of long-term planning. However, owning a home with someone also comes with some strings attached, so it is very important to know exactly how it can change your life both as a primary residence and also as an investment property. Being stuck on a mortgage that you no longer want can have a great impact on your financial freedom. In any relationship, no matter the level of commitment, you and your partner may decide to go your separate ways. 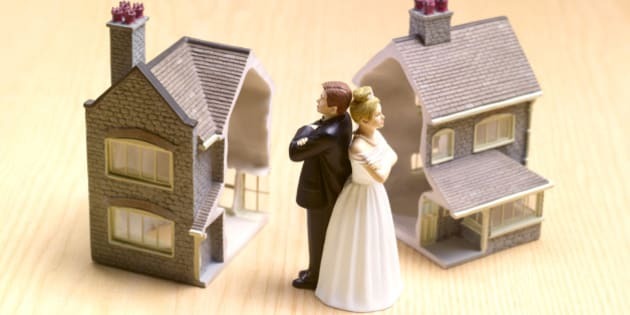 In a married or common law relationship, you would usually need to get a separation agreement outlining how you will divide the interest in the home. If one person wants to stay in the home, usually they would need to repay the other person for their portion of the equity in the home, or even the initial down payment invested. Unless they have the extra funds on hand, a mortgage refinance would likely be necessary. This would require the borrower to re-qualify based solely on their own income and debt. Income is not the only thing that has to be on-point, as the value of the home has to be such to support an equity takeout and leave at least 20 per cent equity in the home. This is calculated by using the amount owed divided by the value of your home, then multiplied by one hundred. If one party is doing a spousal buy out, they can get up to 95 per cent financing if they can qualify for the mortgage. A covenant change may also be available if the lender allows for it, and again if the applicant is able to qualify for the mortgage on their own. A covenant change may allow to leave the terms of the mortgage as-is, so there would be no penalty charged to the borrowers. A lot of times when both parties are amicable, they decide to just leave things the way they are in terms of the mortgage and ownership. This might be more common among investment properties, as parties can still remain independent in their daily lives. It may seem like a good idea until either party wants to move on with their life, get another mortgage, or obtain more credit. One major factor to consider is that any new lender or creditor will not look at you as a part-owner who is therefore only responsible for part of the mortgage. The reality is such that whatever arrangement you have in place to cover the costs, if either party defaults, the lender still expects 100 per cent of the payments. In most cases, even if the investment property is generating a positive rental income, both borrowers will have a harder time qualifying for the new mortgage as the rent would be distributed between the parties. Most lenders do not do the same thing when it comes to mortgage payments, property taxes, or condo fees unless both borrowers are also on the new application. Considering even a perfect scenario where you are purchasing another property with a solid partner or a spouse, at the end of the day, you still qualify for a smaller mortgage as your other mortgage will show up on your credit bureau. This can have a larger effect in cities with higher real estate prices such as Vancouver, and may even take away your ability to get back into the market. Even a property that you had previously owned on your own may need to have your partner added on, as your overall liability now exceeds what your income is able to cover. It is really important to plan home ownership. Although it seems like a valid point not to waste money on rent, you have to see if joint home ownership makes sense for you. I usually tell my clients, to keep one party off the application if possible and if the income is not required. This is especially important if the relationship is not yet well-established, because it may save some headaches and cost down the road. Most lenders usually want whoever is on mortgage to also be on title of the home, but from time to time borrowers are allowed to act as a guarantor of the loan. A guarantor means that you are agreeing to make the payments even if the other party does not, while not appearing on the title and having no ownership in the home. Make sure you know how being on a mortgage affects your life before you decide to sign the dotted line. The savings may be great but it's important to bear in mind the different costs that may be associated with changing mortgage parties and ownership down the road.